Fort Myers Beach waterfront homes and properties are available here. Look at your Fort Myers Beach waterfront home or property using our hotsheet links sorted by geo zone, list price range, or neighborhood. Fort Myers Beach waterfront real estate is all about the Florida beach lifestyle. When you arrive at your Fort Myers Beach waterfront home, you will instantly know you are on vacation at the beach. 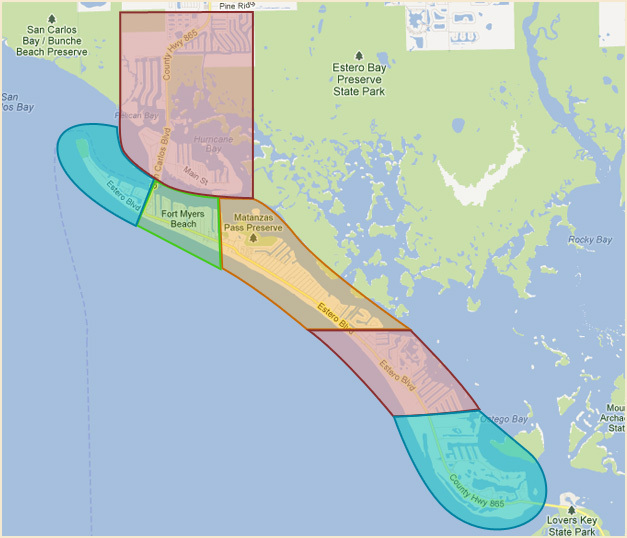 Fort Myers Beach waterfront properties include gulf frontage beach homes, bay frontage homes, and canal homes. Fishing and boating excursions begin right in your own back yard and world class beaches are just steps away.